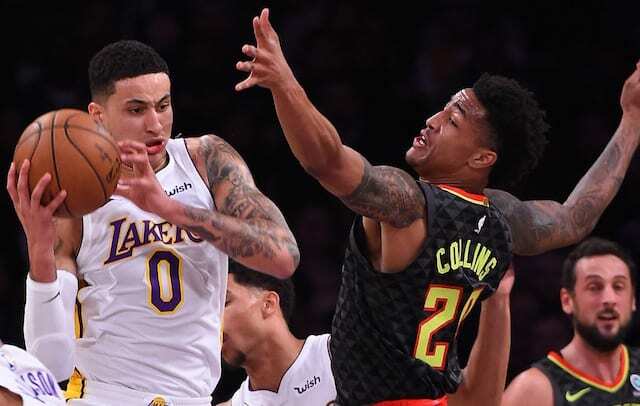 The Los Angeles Lakers finally snapped their nine-game losing streak on Sunday night against the Atlanta Hawks in a 132-113 victory, their first win at Staples Center since November 21st. 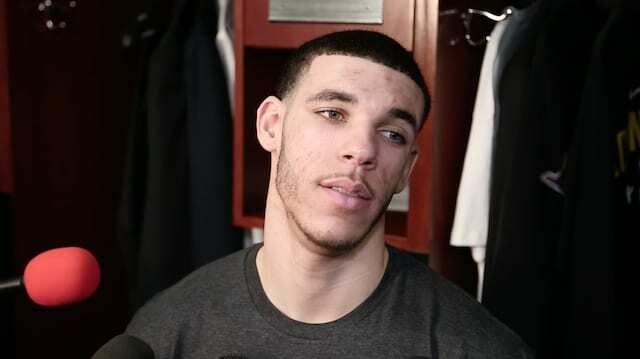 Lonzo Ball returned to the starting lineup for the second time since injuring his shoulder and finished with 13 points, 10 rebounds, six assists and a steal. With all of the noise surrounding LaVar Ball blasting Luke Walton, Lonzo had some interesting comments about the mentality of the locker room after the game. Kyle Kuzma finished with 14 points, six rebounds and three assists. Kuzma said the two keys to their win were defense and sharing the ball. Despite the win, Kuzma was far from satisfied after beating the last place team in the NBA. “We’ve got to play that way against, no offense, better teams, and really prove it,” Kuzma said. Brandon Ingram finished with a team-high 20 points (6-7) and seven assists and said it finally felt like they played with a sense of urgency tonight. Ingram opens up about the biggest difficulty with their nine-game losing streak and is also asked about whether LaVar Ball’s negative comments affect the Lakers locker room. Lakers head coach Luke Walton is asked about whether LaVar Ball’s comments had any influence on how the Lakers came out to play tonight. Plus, Walton has a joke of his own for LaVar.